Going to the art museum with her mom is no fun at all for Anna. Everything is old and boring and there are so many rules: Don't Touch Do Not Enter Quiet A vigilant guard keeps a close eye on the energetic little girl, but even so, Anna manages to set off an alarm and almost tip over a vase. A half-open door draws Anna's attention, but the No Entry sign means yet again that it's off-limits. This time, however, the guard surprises her by inviting her to go in. Here she finds a "secret workshop" where paintings are being cleaned and repaired. Staring out from one of the canvases is a girl who looks grumpy and bored--just like Anna herself. With the realization that art often imitates life, Anna discovers the sheer joy to be had from the paintings on the wall, especially those that reflect what is happening all around her. 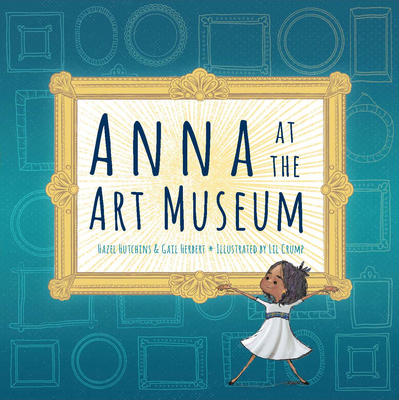 Filled with representations of paintings from many world-class galleries, this charming book is the perfect prelude to a child's first visit to an art museum.